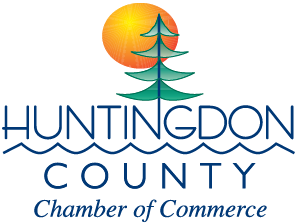 The Huntingdon County Chamber of Commerce fully acknowledges and recognizes the emergence and influence of Social Media and Electronic Communications in the modern world, as well as the rights of individuals to actively participate in the undertaking of such activities. The goal of electronic communication from our organization is to cultivate an environment wherein the usage of electronic media contributes to the ability to provide an opportunity to comment on organizational missions and priorities. Additionally, The Chamber desires that our social media channels portray our internal company culture through the use of posts, blogs, videos, pictures, events and more in real time. However, it is in the company’s best interests that certain regulations be set in the usage of Social Media and other electronic communication methods, especially when the usage of such mediums directly affect company processes and production. It is for that purpose that the company has chosen to draft and willfully uphold this Social Media and Electronic Communications Policy. The Chamber also acknowledges the inherent legal rights of its employees as mandated by higher institutions; any provision that violates any of these rights will be considered null and not be enforced. However, barring any legal precedents, willful violations of these policies will warrant appropriate sanctions. This organizationi policy shall apply to any userii of any form of electronic mediaiii including the administrative teamiv, volunteersv of the organization and members of the general public who opt to communicate with the organization via any electronic method. Principals of integrity, professionalism, privacy and impartiality will be observed by all administrative users of the Chamber’s electronic content. Content shared by the administrative team should be derived from credible sources. a. Links, studies, and source information will be available for all statements made by administrative users unless the information directly violates the confidentiality agreement with our clients. Proper resource citations and copyright laws must be upheld at all times. The administrative team commits to reading all content from our users. However, it may not be possible to respond to every individual post. Our goal is to be as responsive as possible and we are committed to answering questions in a timely fashion. Content will be relevant to the Chamber’s missionvi and initiatives and when appropriate may contain information from our partner agencies and investors. Spam (should it appear) will be removed as quickly as possible. Employees, Committee Members, Board Members and Officers must clearly state when they are not authorized to speak on behalf of the Chamber. The administrative team understands that respect goes both ways: we commit to using good judgment in our content and respectfully request that you do the same using the rules below. Be devoid of confidential information. Contain consent when utilizing the Chamber’s name, likeness, logo, trademarks or any other property. The Chamber reserves the right to correct, edit or amend any misleading or inaccurate content on any of its electronic mediums. The Chamber reserves the right to remove content posted by users at any time for any reason. We at the Chamber welcome the opportunity to interact with everyone and desire for all of those who interact with us to be open to expressing views – concurring, opposing, constructive criticism. We desire to have a culture of dialogue and openness in a professional manner. In order to accomplish our goals, we have opted to implement and enforce a strict policy. Thank you for your understanding. Thank you for participating! Enjoy the dialogue. We look forward to engaging with you. i Organization - defined as the Huntingdon County Chamber of Commerce a 501c6 non-profit entity. iii Electronic Media - defined as any means of social media (such as [but not limited to] Facebook, LinkedIn, Twitter, Instagram, wikis, Google+, virtual works, online forums, blogs) and/or the company website and email accounts. iv Administrative Team - any member of the Chamber team (paid staff, interns, volunteers) who possess administrative rights to any electronic communication medium. vii Engaging - Defined as [but not limited to] liking the page and/or its contents, commenting, tweeting/retweeting, replying, posting, sharing, emailing, and/or blogging. viii The Chamber reserves the right to submit promotional content on behalf of the organization, its partners and/or its members from time to time. ix Defined as three or more violations.